Another quick test post here. 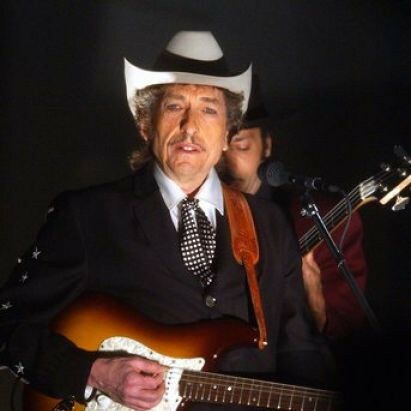 On 16 July 2005 Bob Dylan performed at the Amazon.com tenth anniversary party. The event was hosted by Bill Maher, featured Dylan and Norah Jones, and some clips from the Lord of the Rings movie and probably the sacrificing of live goats to Jeff Bezos (last part still uncomfirmed at press time). No tickets were put up for sale, you had to be pal of Jeff to get in. Dylan performed a short nine song set and the show was broadcast on the internet. I didn’t find the whole show on video, but I did listen to a bootleg. It’s fine – it’s pretty typical of what he was doing at the time. It did strike me that someone said to me this summer – only half joking, I believe – that “Dylan will perform anywhere for $100,000”. I sort of looked at this person quizzically and he re-affirmed it as if he knew it to be true. Cut him a check for $100,000 and he’ll show up at your party. I don’t know what Amazon paid him, but there he is. The final song of his set brought out Norah Jones. Now if you’ve been following this blog for a while you know how this goes – talented female singer who isn’t Joan Baez tries to harmonize with Dylan, horrors ensue. And, if you watch the first verse of this only, you’ll see that script play out. BUT! Give her immense credit – Ms Jones sees that something is happening here and she might know what it is, and she adjusts. She adjusts! Suddenly this likely impromptu (you can see Dylan speaking to her, probably for the first time ever, on stage) get-together sounds, if not great, at least pretty damn tolerable. Good even! By the way, I googled Norah Jones a couple of minutes ago because she is someone that I know is really famous but I was never really sure why – I’ve never listened to her music and couldn’t tell you any of her songs. Turns out that she sold 26 million copies of her first album, Come Away With Me, in 2002. Ay caramba! That might be more than Dylan has sold in his entire career. I’m still not really sure that I know who she is, but she impresses me here. Norah Jones is Ravi Shankar’s daughter, and she’s really very good. Female jazz/pop is not my favorite musical mode, but to go along with her pedigree, she’s got (as they used to say in the olden days) pipes and taste. A bit surprising as an instant international mega-star, but . . . she’s really very good. if you still want to know, visit my Facebook page!